This is a classic example of a smaller customer, for whom any advanced functionality is not needed, rather they need a conversion focused website. The website was also optimized for search engines like Google. On the other hand, we have developed an ERP for backend processes that are very complex for companies in the healthcare business. 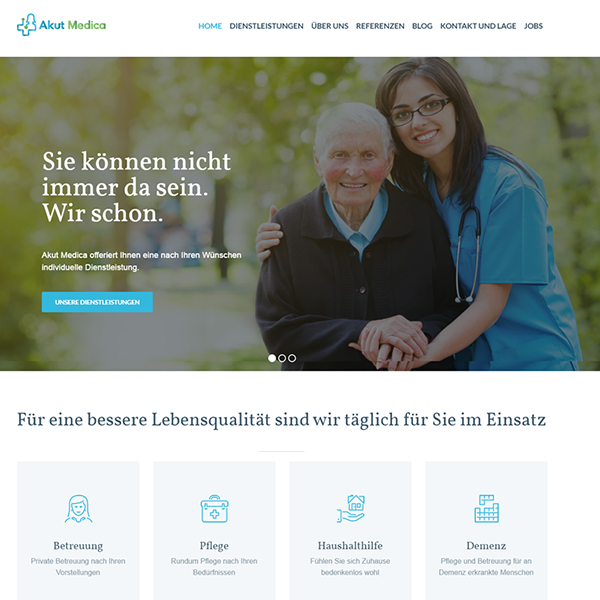 For the preparation of the webpage for Akut Medica the complete rebranding was carried out at the same time. 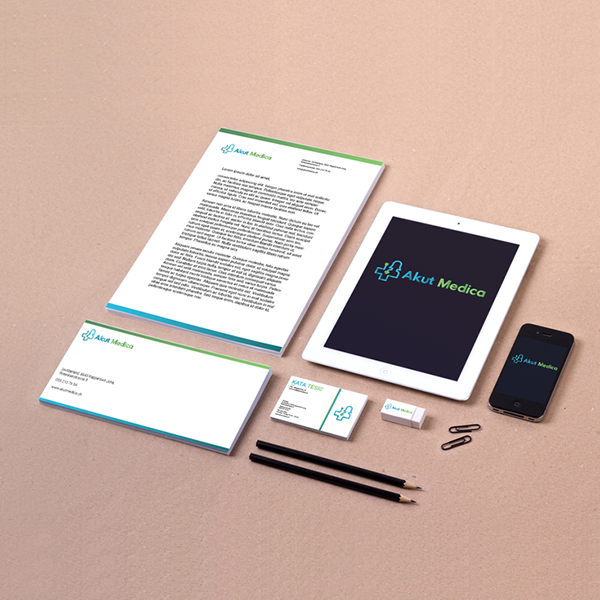 This included the design of the logo, business cards, flyers, memo and invoices. 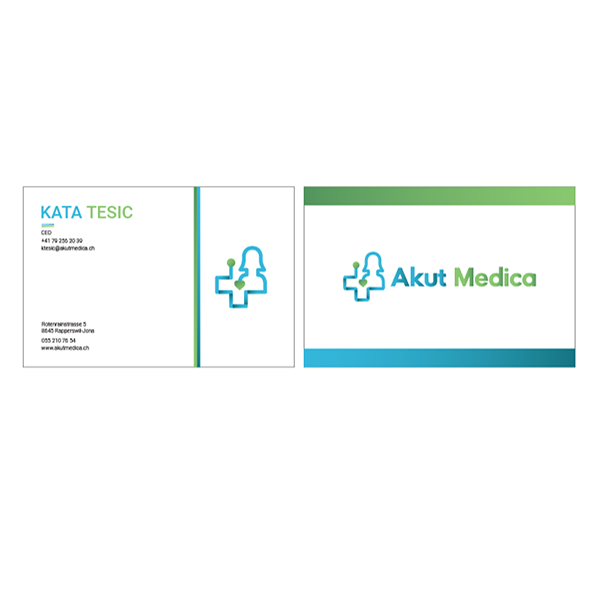 After a research regarding the preparation for the new logo, it was determined that Akut Medica brand is mainly recognized through the owner. Therefore, the new logo represents the owner, of course in combination with the employees who are recognized to work with heart. Business cards were created to match the new identity and the new colors (green and blue). Akut Medica communicates nature, growth and recovery (green) but also loyalty, wisdom and intelligence (blue). 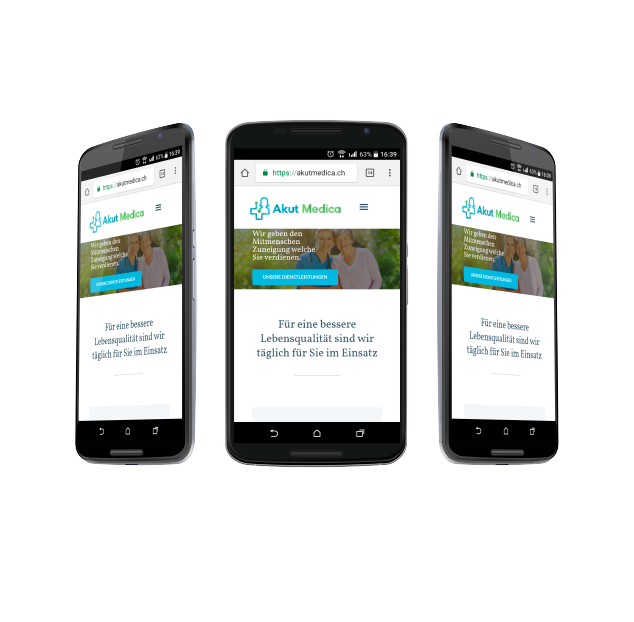 All our websites are adapted to all devices and that's the case with new Akut Medica website. In this project, the design is optimized for senior citizens because they are the target group. Accordingly, the emphasis was placed on the size of certain elements, typography and sufficient contrast.